The Himalayan pilgrimages are the oldest organised travel system, evolved over time by Hindu sages. They combine the spirit of wonder with that of adventure and spirituality. Of all these pilgrimages to the different temples of the Himalayas, the journey to the cave temple of Amarnath is one of the most difficult. The cave stands at 3,888 m. and is situated in a narrow gorge at the farther end of the Lidder Valley in the state of Kashmir. It is 46 Km. from Pahalgam and 141 Km. from Srinagar –the capital of Kashmir. The temple is reported to be over 5000 years old and has been mentioned in ancient Hindu texts. The stories in the epics narrate how the temple was formed. In ancient times the valley of Kashmir was a big lake. The great sage called Kashyapa drained the water through a number of rivers and rivulets and thus created the valley of Kashmir. In fact the ancient name of this region was Kashyap Puri which eventually turned into Kashmir. Hi is said to have brought a lot of Brahmins over from India and settled them there. The legend of the draining of the waters might be an allusion to the geological transformation of this region, when the massive lake which was as big as a sea was compressed by the Indian geological plate to form the Himalayas. Once when the great sage called Bhrigu was travelling through this region he saw a cave. He was drawn to go inside and there he was struck with wonder when he saw the huge ice lingam within. He is said to have been the first to have Darshan of the Holy Cave with the image of Shiva, in the form of a Lingam. It is actually a stalactite, which starts growing with the waxing of the moon in the month of Ashada (July/August) and reaches its full size on the day of the full moon in the month of Shravana (August/September). By its side are two more ice Lingams, which are thought to be those of Parvati and Ganesha. This is why in ancient days when journeys to those precarious regions took much more time than they do now, the yatra used to take a full month and began on Ashadha Poornima (Full Moon Day of Hindu Month 'Ashadha' (July/august) and ended on Shravana Poornima (Full Moon Day of Hindu Month 'Shravana' August/September), when the Lingam reached its zenith. The earliest reference to Amarnath can be seen in the Nilamata Purana (v.1324), a 6th century Sanskrit text which depicts the religious and cultural life of the early Kashmiris and details many of Kashmir’s own creation myths. The pilgrimage to the holy cave has been described with full topographical details in the Bhringish Samhita and the Amarnatha Mahatmya. Both these ancient texts are thought to have been composed even earlier. References to Amarnath, have also been made in historical chronicles like the Rajatarangini and its sequels and several Western travellers’ accounts. The original name of the tirtha, as given in the ancient texts is Amareshwara- the immortal god. In course of time it became Amarnath – the immortal Lord. One of the legends gives the story of the Naga Sushruvas, who in his fury burnt to ashes the kingdom of King Nara when the latter tried to abduct his daughter, who was already married to a Brahmin youth. After the carnage he made his abode near the lake now known as Sheshnag, which is one of the stops on the yatra. In the Rajatarangini it is said that King Samdhimat Aryaraja (34 BCE-17CE) used to spend “the most delightful Kashmir summers” in worshiping a lingam formed of ice “in the regions above the forests”. This is definitely a reference to the ice lingam at Amarnath. There is yet another reference to Amareshwara in the same book. Queen Suryamati, the wife of King Ananta (1028-1063), granted under her husband’s name, “agraharas at Amareshwara, and arranged for the consecration of trishulas, banalingas and other sacred emblems”. In his Chronicle of Kashmir, a sequel to Kalhana’s Rajatarangini, Jonaraja relates that that Sultan Zainu’l-abidin (1420-1470) paid a visit to the sacred tirtha of Amarnath while constructing a canal on the left bank of the river Lidder .In the Fourth Chronicle named Rajavalipataka, which was begun by Prjayabhatta and completed by Shuka, there is a clear and detailed reference of the pilgrimage to the sacred site. According to it, in a reply to Akbar’s query about Kashmir, Yusuf Khan, the Mughal governor of Kashmir at that time, described among other things the Amarnath Yatra in full detail. Francois Bernier, a French physician, accompanied Emperor Aurangzeb during his visit to Kashmir in 1663. In his book “Travels in the Mughal Empire”, he writes an account of all the places he visited in Kashmir. He says that he went on a journey to a grotto full of wonderful ice formations which was a two days journey from Sangsafed. At that time he was recalled by the emperor who was worried by his long absence. The editor of the second edition of the English translation of the book, Vincient A. Smith, writes in his introduction: “The grotto full of wonderful coagulations is the Amarnath cave, where blocks of ice, stalactites formed by dripping water from the roof are worshipped by many Hindus who deem these to be the images of Shiva. Another traveller, Vigne, in his book “Travels in Kashmir, Ladakh and Iskardu” writes about the pilgrimage to the sacred spot in detail, mentioning that “the ceremony at the cave of Amarnath takes place on the 15th of the Hindoo month of Sawan” and that “ Hindoos of every rank and caste can be seen collecting together and travelling up the valley of Liddar towards the celebrated cave.” He visited Kashmir after his return from Ladakh in 1840-41 and published his book in 1842. His book claims that the Amarnath Yatra drew pilgrims from the whole of India in his time and was undertaken with great enthusiasm. Guru Arjan Dev is said to have granted land in Amritsar for the ceremonial departure of Chari, the holy mace of Lord Shiva which marks the beginning of the Yatra to the Holy Cave. In 1819, the year in which the Afghan rule came to an end in Kashmir, Pandit Hardas Tiku “founded the Chhawni Amarnath at Ram Bagh in Srinagar where the Sadhus from the plains assembled and were given free rations for the journey, both ways from his own private resources”. This has been referred to by the Kashmiri naturalist Pandit Samsar Chand Kaul, in his booklet titled “The Mysterious cave of Amarnath”. The cave is deeply enshrined in Kashmiri folklore. Local legend has it that a shepherd boy called Buta Malik, belonging to the nomadic tribe of the Gujars was the one who discovered the cave. He found a sage inside the cave who gave him a sack full of coal. On reaching home he opened the bag and found to his utter surprise that the bag was full of gold coins. He ran back to thank the sage but could not find him. 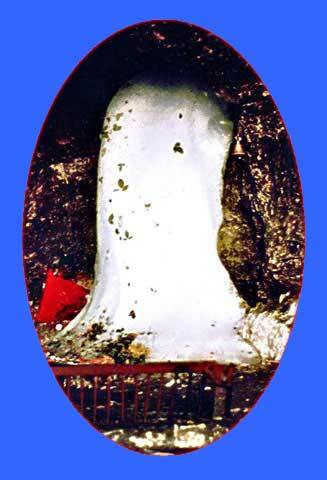 However he found the spectacular ice lingam of Lord Shiva. He couldn’t believe his eyes and ran back and announced the discovery of this miracle to the villagers. Then onwards the cave became a sacred place of Pilgrimage. Even today part of the money collected from pilgrims is given to Buta Malik’s family. 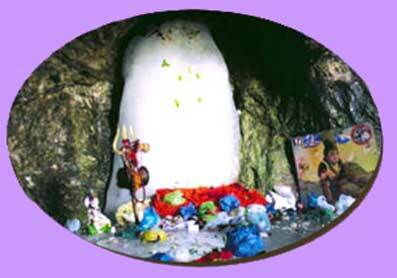 Amarnath is the place where Shiva divulged the secret of immortality, (Amar Katha) to his wife Parvati. She had been questioning him incessantly about these esoteric secrets. He had tried to shelve her questions but when he found that she was indeed a determined student, he agreed to tell her. He chose an isolated spot far from civilization and this was the cave of Amarnath. It is said that he even left behind his faithful servitors along the way. He left Nandi, his bull vehicle at the village of Pahalgam. At the next village of Chandanwari, he released the moon from his hair and on the banks of Lake Sheshnag, he released the snakes entwining his neck and hair. His son Ganesha was left at the high plateau of Mahagunas and at Panchatarni, he left behind, the Five Elements - earth, water, air, fire and sky - that make life possible. 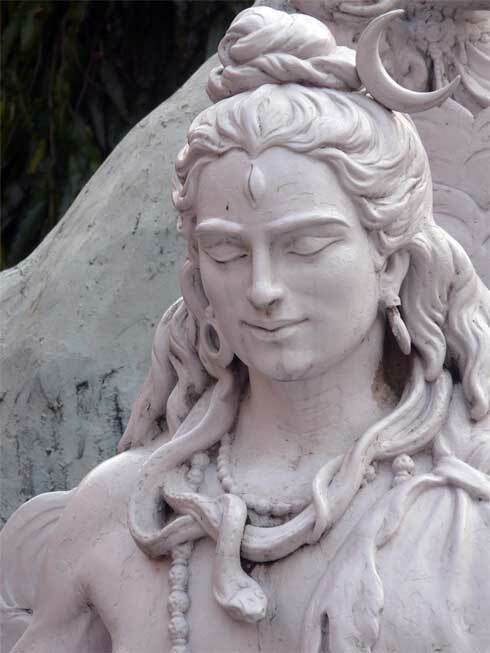 As a final precaution, Shiva created a replica of himself called Kalagni and ordered him to set fire and eliminate every living creature in and around the Holy Cave. Finally, he entered the cave with his wife, Parvati. He sat on a deerskin and started to meditate. When he came out of his Samadhi he started to narrate the Amar Katha or the secret of immortality to Parvati. Unknown to them, a pair of mating doves eavesdropped on this conversation and learnt the secret. These birds are reborn again and again, and have made the cave their eternal abode. Even today these birds can be seen by pilgrims. The original pilgrimage used to start from Srinagar on the fifth day (panchami) of the bright fortnight of the month of Shravana (August/September). The next halt was at Pampur, 9 miles south east of Srinagar. Subsequent halts were at Avantipur, Brijbihara and Martand. En route to Martand are Anantnag and Gautamnag. Martand is known for its ancient temple dedicated to the Sun God, which is now in ruins. It is known as the architectural lion of Kashmir. It is a temple with a colonnade of 84 columns full of artistic work. This temple dates back to Lalitaditya of Kashmir of the 8th century. The next halt is at Aishmukam, and the next is Pahalgam, which is reached on Dasami, the tenth day of the bright half of the month. At Pahalgam is the confluence of the rivers Seshnag and Liddar. Pahalgam is 96 Km. from Srinagar, the capital of Kashmir. the secret of immortality, to his wife Parvati. Nowadays the pilgrimage starts from Chandanwadi. It is the confluence of the rivers Asthan Marg and Seshnag. From there the pilgrims have to go to the peak called Pishu Ghati, thought to be the site where the demons were crushed by the gods. 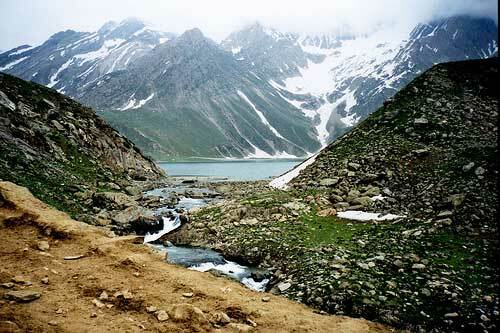 From there the trek takes you to the glacial lake called Seshnag which is 12000 feet above sea level. The next halt is at Wavjan and then the terrible trek to the plateau known as Mahagunus which is 14000 feet. From here there is a descent leading to Panchatarni. 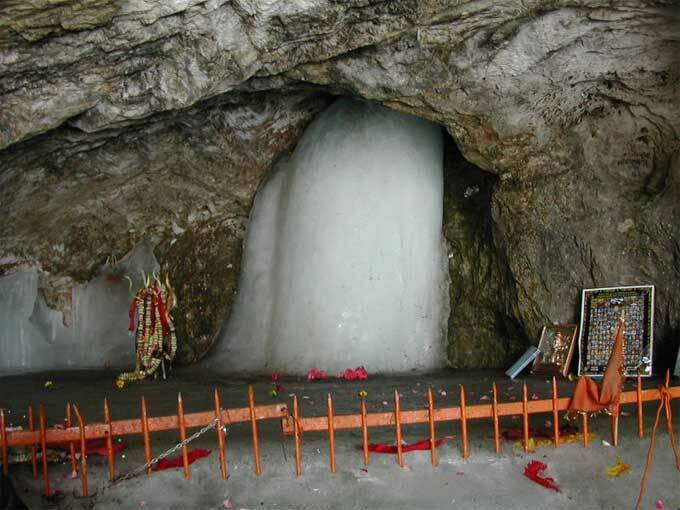 This is the last halt and from here, the cave of Amarnath is reached on the day of full moon, when the stalactite reaches its full and stunning formation and becomes a perfect lingam, smooth and rounded at the top with a space at the bottom where your hand can pass. Till then I had been having high hopes that somehow we would be able to manage it but at that moment I felt that I was being told by Amarnathji himself that it would be impossible and I just burst into tears. “Why did you bring me to this point if you did not mean to take me there?” I asked him. At last I rallied round and told myself sternly that He was just testing my resolve and only those who were truly determined would be able to have His darshan. My friends urged me not to go on with this foolhardy venture and that we should stay a couple more days in that delightful town and return home. I stubbornly resisted their pleas since I felt deep within my bones that HE would not let me down. But I also knew that going on our own was out of the question so I decided to ask some of the pony drivers if they would be willing to come. Most of them refused. At last 3 Muslim pony owners agreed and said they would come with us. They asked for a stiff fee but I was forced to agree since there was no one else. My friends reluctantly agreed to accompany me even though they thought it very rash. The ride took us through 12 kms of spectacular primeval country side. Towering over us was the Sheshnag Mountain which was so called due to the seven peaks resembling the head of the mythical snake, Sheshnag on which Lord Vishnu relaxes. A cascading stream accompanied us with wild scenery untouched by modern civilization. I drank the waters of the river and discovered for the first time what was meant by the words “sweet water”. I couldn’t stop drinking, it was so sweet. 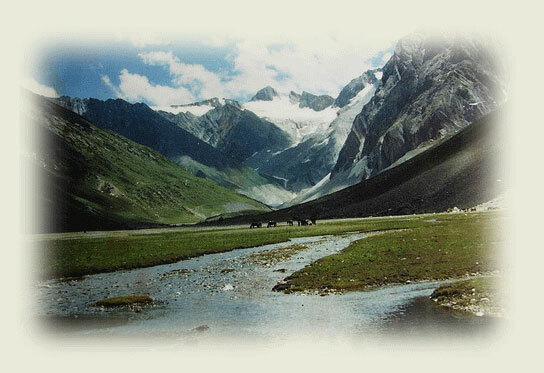 The second night camp was normally at Wavjan which overlooks the deep blue waters of the glacial lake called Sheshnag. This lake was still and blue and was a perfect mirror for the dark peaks surrounding it. The whole scene was unbelievable and looked as if it was a painting since everything was so still and not a ripple marred the clear reflection of the mountains on the lake. One could not tell where the mountains ended and where the lake began. The tales of love and revenge associated with Sheshnag came vividly to my mind. Of course we did not stop there since we could not afford to lose even a day and thus we carried on, up and up, through the most rocky and difficult terrain, steadily gaining height till we reached the dreaded Mahagunas Pass at 4600 mtrs (14,000 feet). It was a real stiff climb which we did on foot since it was too steep and rocky to go on the ponies. The rarefied air and the fact that we were really ill clad for such weather was a bit disconcerting but I felt exhilarated. At the top there was a brisk wind which nearly blew us off. Obviously there had been a downfall of snow in the plateau and as we pressed on in the pristine snow, I saw a huge three-toed footprint. I was terribly excited to see it and thought that it must be the Himalayan yeti. I asked the pony drivers about it. They also said that a huge creature which resembled a human being and which had only three toes was often seen by them. I peered anxiously into the distance to have a glimpse of the beast but except for that one huge footprint there was nothing. “Where had he vanished? What would we do if we were confronted by such a creature?” I thought to myself. As if to tease me I suddenly spied a tiny little creature looking like a chipmunk which was scurrying around, foraging for food. It suddenly crossed our path but apart from that there was nothing to mar the breathtaking panorama of pure white untouched snow stretching as far as the eye could see. The weather was freezing but the fact was that I hardly noticed it. I was so intoxicated by the air and the land and the feeling that the Great Lord (Mahadeva), was striding above us. Once we crossed the plateau we had to descend to the meadow land called Panchatarni where we had to halt for the night, before setting out for the last lap to the Amarnath Cave. We reached Panchatarni at sunset and I had an amazing vision of Lord Shiva in his form as a Yaksha. It was a huge figure which strode across the plain with his hair flying in the wind, holding his damaru in his hand. He had one foot on one mountain and the other on the other mountain and was towering over the meadow. I was thrilled with this sight and couldn’t even talk about it to my friends. Even today I can close my eyes and recall that amazing figure, silhouetted against the crimson sky. The pony drivers went straight to a pilgrim shed at Panchtarni, which had already been locked for the year. This was the only place where we could get shelter from the weather. Somehow they managed to break open the lock. There were two rooms out of which I was given one and the others shared with the drivers. The windows were nailed down with planks to keep out the snow and wind so there was no light at all. The drivers prepared some sort of dinner for us and something to be taken for the next day. I was so excited that I hardly slept. From Panchtarni to Amarnath the distance is only 6 kms and an early morning start was advisable since we had to return to the same place on the same day before nightfall. Usually pilgrims could return to Panchtarni in time for lunch and continue up to Sheshnag for the night halt. It was a clear, bright day and very, very cold. As I said we were most ill clad for the climate and did not even have gloves or a jacket. All we had were sweaters and shawls! I was keen to walk a little but the drivers seemed rather anxious and urged us to go as fast as possible on the ponies. They were a taciturn lot and didn’t talk much to us so we didn’t know why they were anxious since the day seemed very good to us. It was a tortuous path which eventually led to a ledge about three feet wide with a steep rocky mountain on one side and a sheer drop of perhaps five hundred feet on the other. I made the mistake of looking down and had to hang on to my pony since I felt terribly dizzy. Fortunately the ponies were very sure footed and I just clung on without daring to look down. After this came the decline to the small valley ending in the magical cave. The drivers were very stern with us and told us not to waste a moment. We were allowed to just run down to the cave, have darshan and run back again. I couldn’t believe that after all this we had actually reached the cave. I ran down and as I ran I remember noticing the two doves which were flying here and there near the mouth of the cave. In those days there was no litter and no signs of civilization except for some red flags which were fluttering in the breeze. I went and stood in front and was enthralled by the overwhelming beauty of the place. The lingam was much bigger than I had expected. In fact it filled the whole cave and came from the top of the cave right down without touching the ground at the bottom. It was slowly starting to melt and disintegrate! Even so it was an awe- inspiring sight. What would it have been like at its zenith! Near by were the two other lingams which were supposed to be of Parvati and Ganesha. But these had already slid to the ground. Tears rolled down my eyes and all I could do was to chant “Aum Namashivaaya!” I didn’t feel the cold rising from the ground when I prostrated fully, thanking Him again and again for bringing us to this divine spot. I didn’t feel like stirring from the place but the voices of my friends brought me back to consciousness. It was already eleven o’clock. The men said nothing but packed us on to the ponies without giving us time to eat the breakfast we had brought. We had hardly crossed the ledge when the whole situation changed. The sun disappeared in a flurry of snow and the whole sky became overcast. As we drove on it became darker and darker and soon the blizzard started to blow in all its fury. There was a driving wind which blew the snow into our faces which were totally unprotected. As I said we didn’t even have gloves. I couldn’t even put my hands into my pockets since I had to hang on to the reins. Fortunately the ponies were determined, sure-footed little creatures that seemed to know their way perfectly. The men walked beside them with their heads down. Their turbans covered their heads and a scarf was tied round their mouths so that only their eyes could be seen. Very soon I couldn’t see who was in front of me and who was behind. But I thought I should try and encourage my friends who had come only at my compulsion. “Let us chant “Aum Namashivaaya” I said and tried to say it but no one seemed inclined to follow and soon I too could not speak a word. The sound of the wind was terrible to hear and the driving snow made it impossible to open your mouth. I had to close my eyes and put my head down or else I’d have been blinded. Of course none of us had thought of bringing glasses. One might think that this would have been a nightmare journey. But somehow that is not my memory of it. The thought that we might all die on that lonely mountain side within a few minutes did not even occur to me. I felt exalted and never for one moment was I frightened. Inside me was a deep sense of gratitude that He had allowed me to glimpse His glory not just in the cave but in all his magnitude on the mountains. It was pitch dark and any moment we might have plummeted down hundreds of feet into a ravine. But I was beyond thought. Inch by inch the ponies pushed their way through the storm until they reached the pilgrim shed where we had spent the night. I found that it was impossible for me to get off the pony since I was totally frozen stiff. Two of the men had to lift me off the saddle and take me inside and put me down on a bench and still I couldn’t flex my legs or arms. My hands were like pieces of wood and refused to obey my commands. They wouldn’t open and were still bent as if clutching the reins. The men got a fire going but when I stumbled towards it, anxious to show my hands and feet before, they sternly refused to let me do so. One of them took my hands and placed them under his armpits and held them there for a long time before they thawed and only then did he allow me to go near the fire. I was told that the best way to get frost bite was to go straight to a fire and try to thaw your hands and feet. Luckily my friends were not half as badly off as I was. They confessed to me later that they never thought we would make it. I tried to get some sleep but couldn’t do so due to the howling of the winds and the rattling of the windows. I expected the whole roof to be ripped off any minute and all of us exposed to the snow and wind. Very slowly towards dawn the blizzard withdrew itself to its own secret hiding place from which it had come to explore the earth and wreak whatever havoc it could do as if it were indeed part of the asuric (demon) hordes which used to bear down upon the land in times of yore. At last we woke up to a bright morning. When we went out the whole world looked as if it was covered with a white, fur blanket so pure and pristine that I felt the storm of the previous night was just a bad dream.